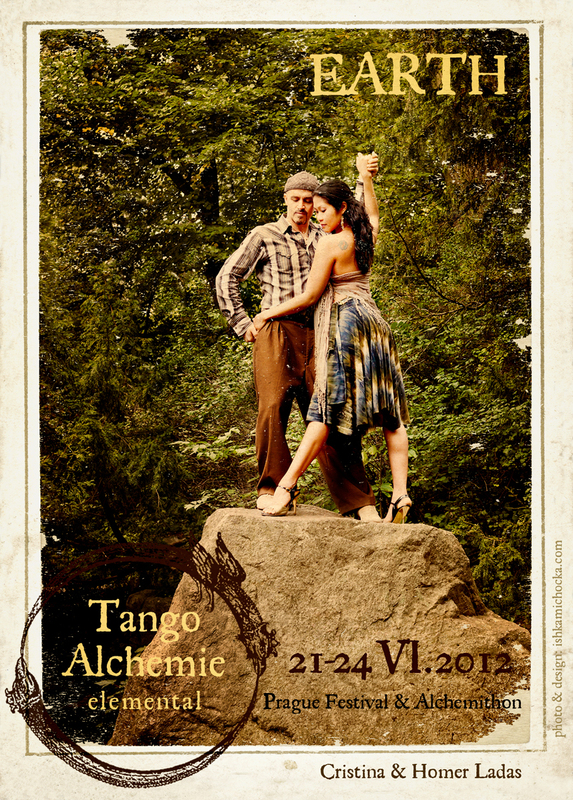 Follow-Up: In 2014, Cristina and I did a beginner circus-tango routine in Berlin. There's a tango improve dance before the intermission and our circus routine is right after the intermission (but the whole show is fun to watch). Long Bio: Homer and Cristina both started their tango obsession in 1997. They finally met each other at the all-nighter in Berkeley, CA in 2001. After signing-up as dance partners at a Portland Tango Festival in October of that year they fell in love and were married 8 months later in May of 2002. That's also the year Homer left his seven year mechanical engineering career to pursue teaching tango full-time! He found it natural to transfer his life experiences (teaching swimming and martial arts, tutoring math and science) into teaching tango. Cristina helped Homer on a part-time basis but transitioned to full-time tango work a few years later...after a brief culinary apprenticeship and professional chef work at the Ritz Carlton SF (not to mention her degrees in Public Administration and Criminal Justice plus the years running a family owned business). Each brings with them two decades of social dance experience emphasizing a fusion of tango ideologies, via the 'one tango' philosophy. Both also have a pre-tango background in many other physical activities. With regards to tango, Homer & Cristina have over the years studied with numerous teachers as well as practiced extensively with each other and many other dance partners. They have also traveled to many tango cities around the world, including two trips to Buenos Aires, and are ardent students of community politics, growth, and dynamics everywhere they visit. They attempt to use this knowledge to positively influence the development of each tango community they subsequently visit. They are also developing a learning resource page for both teachers and students alike. If you're interested in reading philosophical tango ramblings (on subjects such as finding one's style, Organic Tango, Nuevo vs Traditional Tango, Didactic Tango, Tango Economics, etc, or just more intel on Homer), feel free to check out his blog Homer's Road (note, basic 'free' membership & login required to avoid spam). It has been said, on more than one occasion, that few dancing couples improvise with such skill, personality, and fluidity of movement. As each year passes Homer & Cristina continue to explore deeper facets of their relationship to each other and to tango. Currently, they are traveling most of the time. Have a look at their travel map to see where in the world they are going to next! Perhaps somewhere in your neighborhood? Homer is also a founding member of the non-profit Project Tango organization whose biggest local projects include the weekly CELLspace alternative milonga and the Tango Exchange. He is an active board member most interested in live music development and grant sponsorship. Lastly, Homer is a student of learning how to play tango music for social dancers. His current obsession, started in October of 2009, is the bandoneon! His previous obsession (which lasted for about five years until the day that he picked up his friend's bandoneon) was the double bass (and he played tuba in high school). Homer helped develop and also played with a locally based ‘student’ tango band called Los Bandacticos. He also has performed in several community orchestras (SFTX and TDLM) and in 2013 started a local community tango orchestra (sponsored by Project Tango). He occasionally hosts or participates in free music jams (some locally but mostly on the road). Sometimes, Cristina joins in on vocals with her beautiful voice! In 2007, Cristina experienced and recovered from a life altering kidney disease and, beyond her regular ‘tango functions’, is a hard-core student of Yoga and other body-movement classes. Starting in 2012 she began the study of aerials and acrobatics (Homer became her 'aerial-partner & acro-base' in 2013). She spends her off-time reading. Homer's first major dj act was to put 50 cd's (including assorted classic tangos, alternative songs and the 'Last of the Mohicans' sound track) into a player and press the random button. People loved it, but that was 1999. On July 9th, 2003, he pumped out the first 'less than perfect' dj mixes for the weekly 'CELLspace alternative Milonga' in SF. But again, folks were happy to have a venue where two worlds collided. Today, Homer continues to apply & develop his dj skills at-large, both locally and abroad. Since his first dj gig his focus has been to find the right balance while making smooth transitions between music from the Golden Age and the music that lies beyond... He is compiling an online DJ resource page as well as helping to distribute a international Tango DJ magazine (to better educate and connect tango DJs everywhere - ask him for a copy). Homer believes that the final goal or outcome, while meaningful, is less important then the road and risks taken to get there!